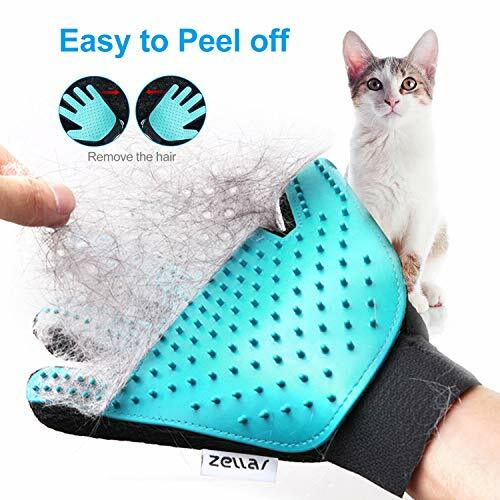 Multi-functional Design – Zellar pet grooming glove with 2-in-1 design can meet your different needs. 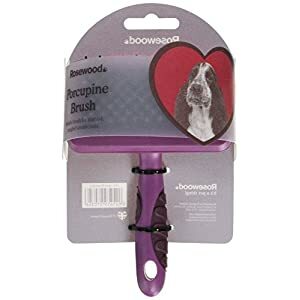 You can use it for dog bath/shower, grooming or massage. 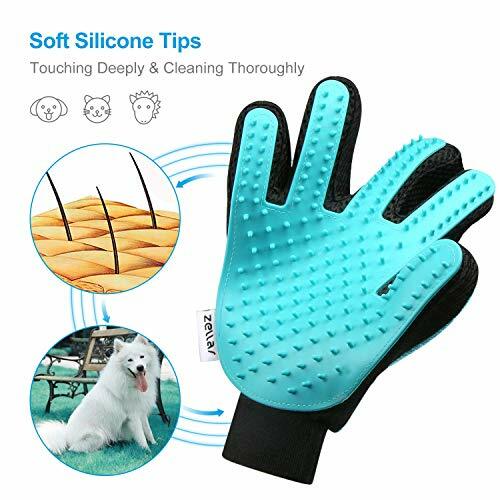 One side has more than 180 soft silicone tips help you to remove loose pet hair easily, and the other side has velour which helps to collect pet fur/hair quickly. 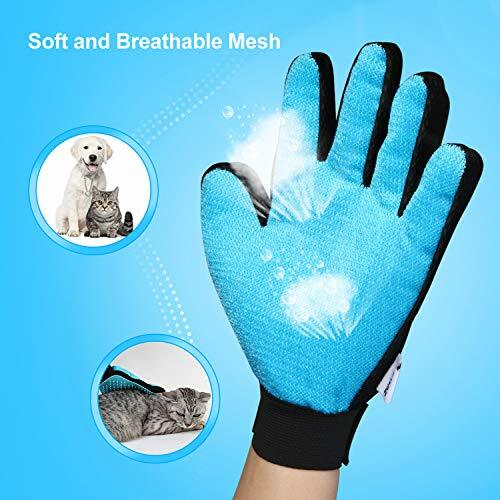 Safe Material – High quality silicone material, safe and soft, brings your puppy or cat a comfortable relaxing experience during grooming or massage. 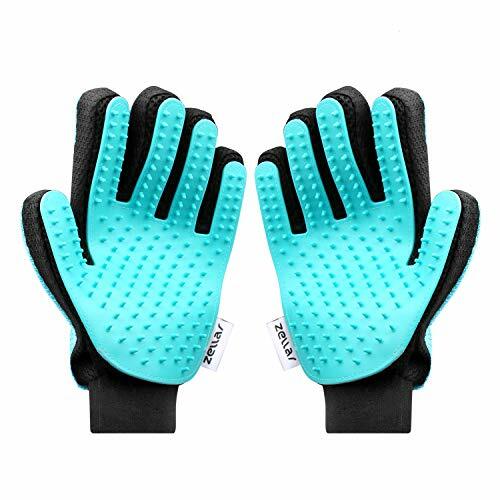 It also can stimulate the blood circulation, which is good for your pet’s heath. 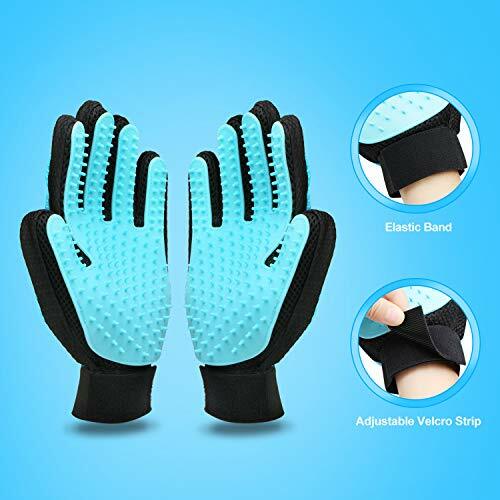 Velcro Design – Velcro design makes it easy to put on and take off. 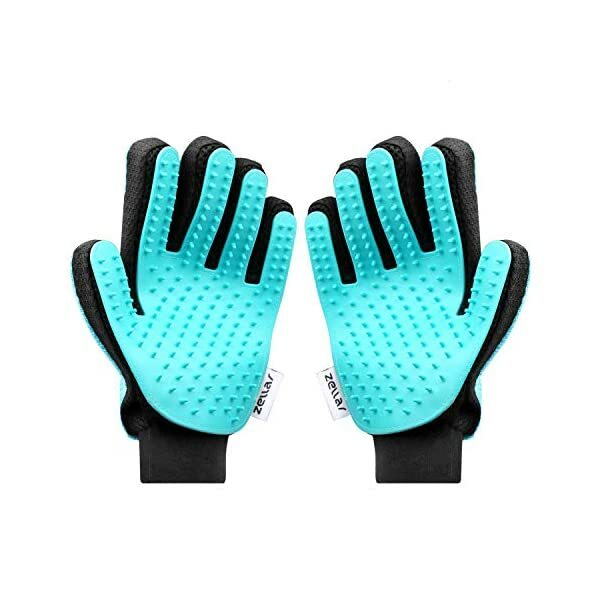 Besides, the adjustable feature ensures the brush glove fits you better. 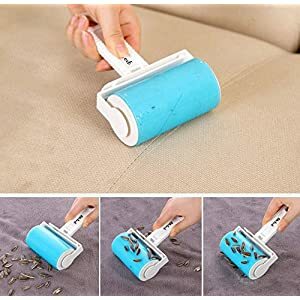 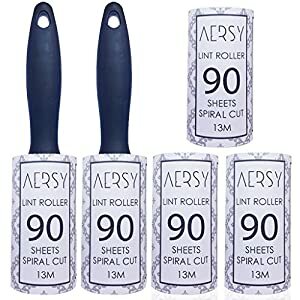 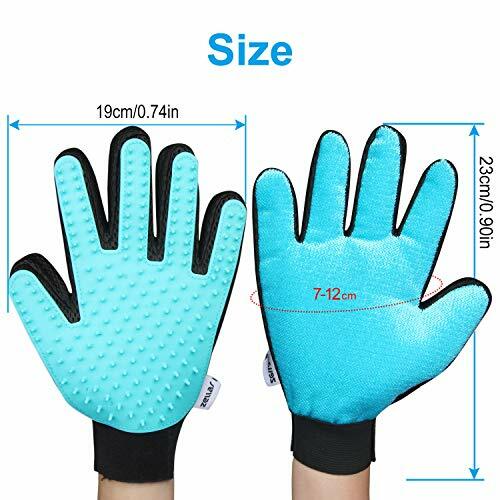 Easy to Clean – Hand washable and hang it dry. 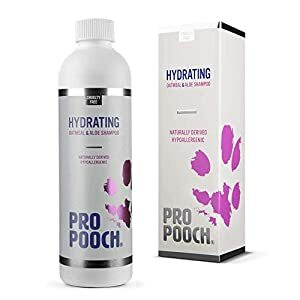 A must have for pet owner to take care of dogs, cats, rabbits, horses and other pets with long, short or curly hair. 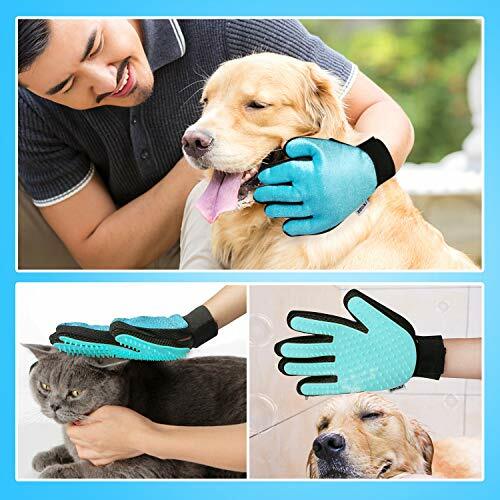 What You Get – 1 pair Zellar pet grooming gloves (Right-hand and Left-hand), our worry-free 18-month warranty and friendly customer service.